First up, a personal invite from us to a special event this Saturday, Demo Day for the Hawaii Annual Code Challenge. Then, we check in with aXessPoint, a local startup with a new name and a bigger vision. 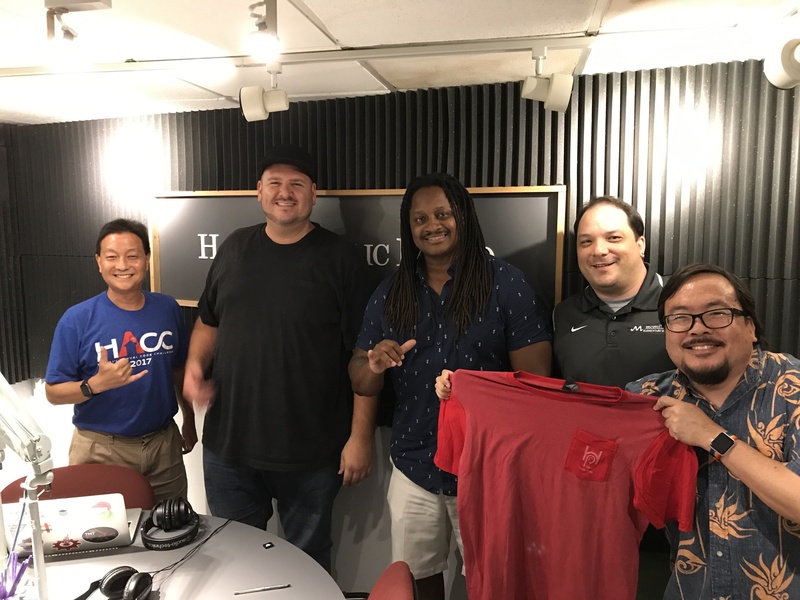 Finally we hear about the Hawaii Chapter of the Computer Science Teachers Association, with Shane Asellstine and get the details about their chapter meetup on Sept 27th. First up, we talk to Lily Bui from MIT about her work in sensor technology and a project called iSeeChange. 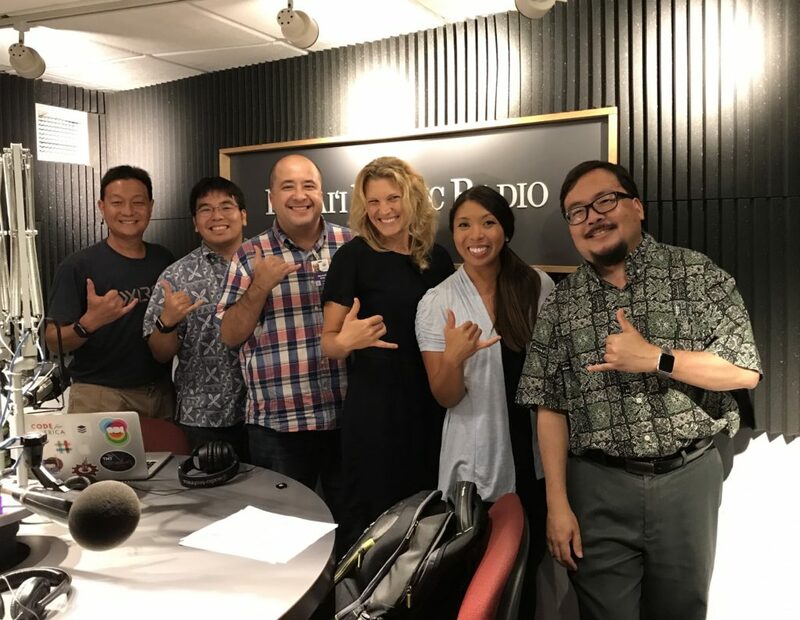 Then we talk with Rhowell Ruiz, Shayne Matsuda from the Office of Elections and Chelsea Harder from Hawaii Green Growth and the Aloha + Dashboard about department challenges for the upcoming Hawaii Annual Code Challenge. The word of the day is “Hackathon”. First off, Anees Merzi tells us about an upcoming DisruptArmy event. Then Napali Souza joins us from Purple Maia to tell us about the Purple Prize demo day. 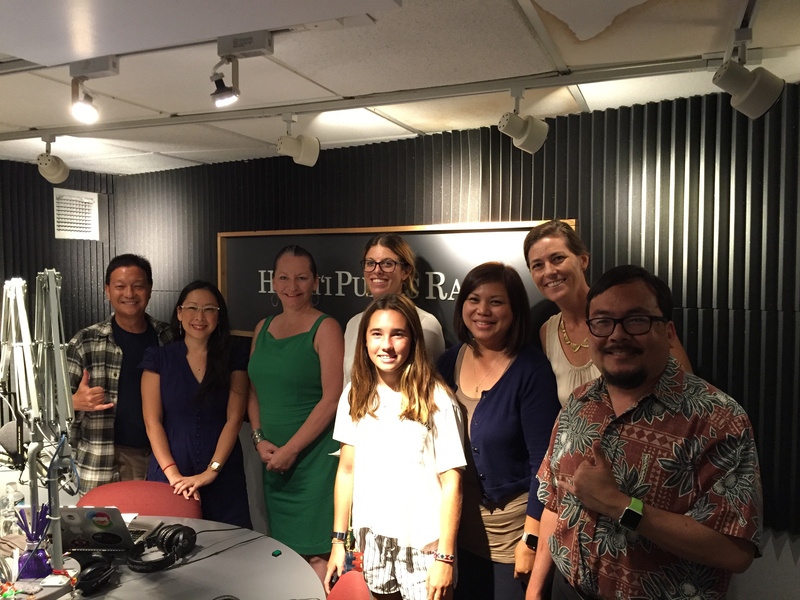 Finally, after the break, we hear from some of the winning teams from the recent Hawaii Annual Code Challenge. We’ll talk to Team Cobra, HATS and Local Mocos about what inspired them to participate, and what they built. We look ahead on the local tech calendar. 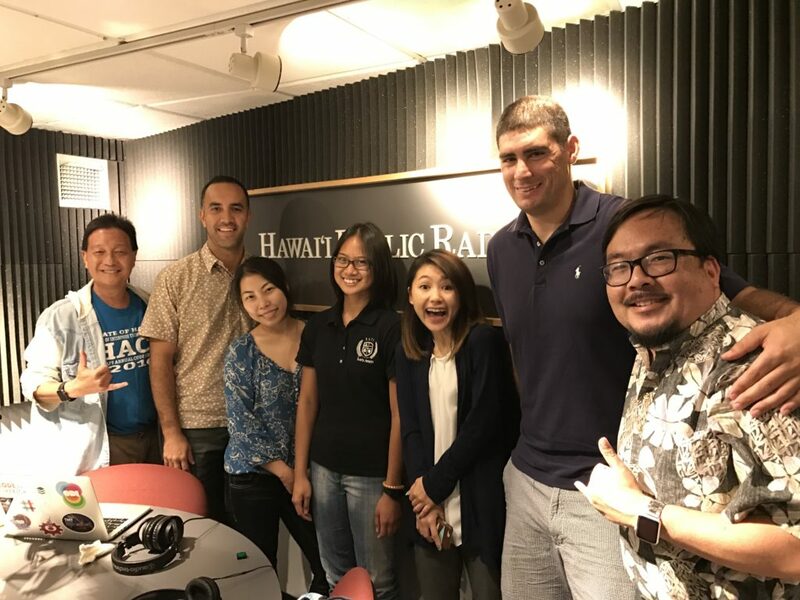 First up is this weekend’s Hawaii Annual Code Challenge, and Leila Kagawa is here to give us an update. Then our good friend Chenoa Farnsworth joins us from Blue Startups to tell us what they’re looking for in their next cohort of companies. Finally, after the break, we explore what it means to be an “artist in residence.” More science organizations have taken a novel approach to visualize and share their work with the public. Artists Laurie Sumiye and Rebecca Rutstein are here, along with Carlie Weiner from Schmidt Ocean Institute and Tanya Ortega from the National Parks Arts Foundation.